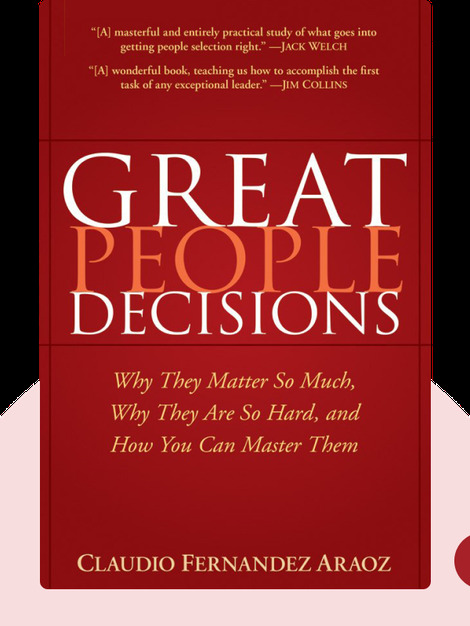 Great People Decisions (2007) explains the many ways in which personnel choices can make or break an organization. Full of practical, immediately actionable advice, this step-by-step guide to finding and hiring the right candidate for the right job is helpful for businesses of all shapes and sizes. Claudio Fernández-Aráoz is an author, speaker and internationally recognized expert on talent and leadership. He is also the author of another bestselling book, It’s Not the How or the What but the Who. 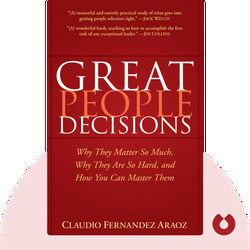 © Claudio Fernández-Aráoz: Great People Decisions copyright 2007, John Wiley & Sons Inc. Used by permission of John Wiley & Sons Inc. and shall not be made available to any unauthorized third parties.